How Many Parts Make A Shower Head? You may be surprised to learn that the shower head that came with my Mira Sport Thermostatic Shower is made from 22 separate parts. If you count them in the featured image above you will see 21 but take note that the main body of the shower head, on the right, is made from two inseparable parts of plastic. I can also tell you that the main body of the shower head retains water after use. Some drops can be removed by shaking it in various ways but some always remains inside. If the shower isn’t used regularly this water will become stagnant and may hold dangerous bacteria. I would recommend turning the shower on at least once per week to refresh the water in the shower head. This all came to light when I wanted to do a good job of cleaning mould and calcium off the shower head. I felt the best job would be done by dismantling it and cleaning all the parts individually since some mould looked as if it had penetrated inside. 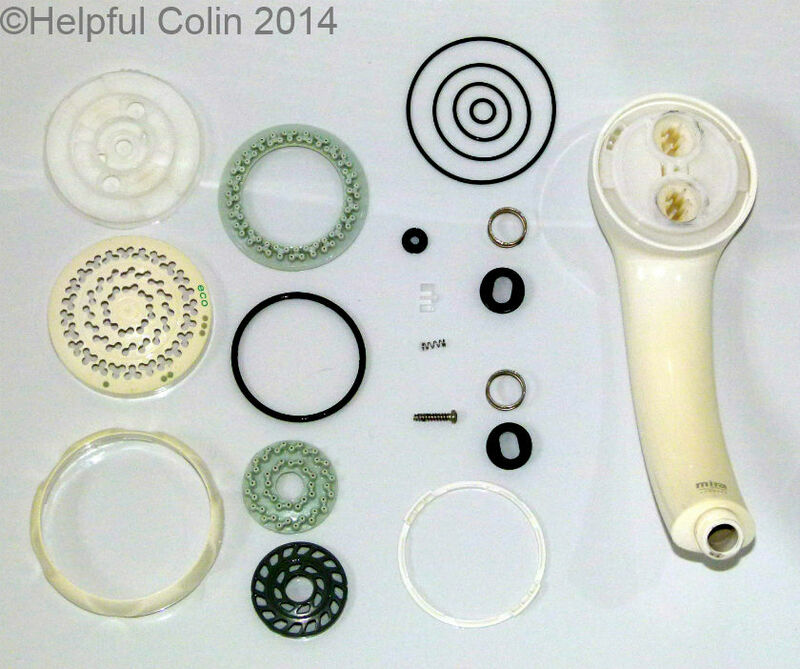 Author Helpful ColinPosted on 12 January 2013 4 May 2018 Categories Do It Yourself, Home Appliances, In The Home, Plumbing & Heating, TechnologyTags descaler, HG, Mira, mould spray, shower, shower head10 Comments on How Many Parts Make A Shower Head?